Although, many may not believe marijuana or cannabis are said to have a positive impact on health. These herbs have been curing different health conditions for a long time. It is due to these benefits that the cannabis is generally being accepted and legalized in different places. Most importantly, it is this cannabis that is considered to be the outcasts owing to the addictive effect. Food and Drug Administration are yet to give the title of cannabis being safe. However, research a few years back has found that cannabis contains cannabidiol, which is helpful for treating some epilepsy. Are there any health risks associated with cannabis? What are the benefits of Cannabis? Many pieces of research show that benefits are mainly caused by the constituent cannabidiol. Cannabidiol (CBD) is naturally occurring in cannabis. It was discovered as one of at least 113 cannabinoids in hemp plants, accounting for at least 40% of the plant’s extract. The side effects of CBD can be sleepiness, diarrhea, fatigue, decreased appetite, weakness, and malaise. THC is known to cause anxiety and disordered thinking, but CBD has the opposing effect. It is therefore used as a medicine for epilepsy and multiple sclerosis pain. Cannabis is said to contain cannabidiol. This act on the brain receptors is thereby treating even the chronic pain. It has a soothing impact on the mind and targets the same receptors that the marijuana does. There have been various researches that have shown to have a positive impact of cannabis in treating disease. Cannabidiol if taken orally can help to prevent the vomiting and nauseous feeling caused due to chemo, which is hugely beneficial. Nonetheless, smoked marijuana can help to increase these symptoms. Moreover, other research has been found that cannabidiol can help to either slow down or completely kill the cancerous cells. Cannabidiol cannot only help to control the growth of cancerous cells but also help in treating it. Using cannabidiol orally, for a short term can help to cure the symptoms of spasticity in different people. This has been beneficial for people who have multiple sclerosis. This can affect positively. Cannabis contains CBD, which is one major component. There have been various researches that have shown that cannabis can help in curing epilepsy to some extent. However, it also helps to prevent the significant risk of liver damage, depression, and sedation. Cannabis also has a positive impact on the body of the people suffering from depression. They play a crucial role in reducing the suicidal thoughts and encouraging having happy thoughts in some people. If there are benefits, there have to be certain drawbacks too. Like that of benefits, there have been multiple studies, which have linked cannabis with negative outcomes. Cannabis is addictive, and that regular use can cause significant damage. Too much or excessive use of cannabis can increase the risk of bipolar disorders. This will be more prevalent to those who have already been suffering from mental illness. Frequent cannabis use can also cause an increase in the chance of anxiety and panic attacks. Although it helps to lower the risk of cancer, in some cases it may alleviate the risk too. Too much consumption of cannabis can increase the chance for testicular cancer. Hopefully, you found out a bit more about the use of cannabis and health benefits. Make sure you use marijuana wisely and remember that too much of anything is always bad. 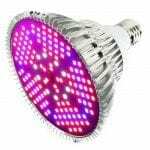 Check out a LED grow light review right here and read all our informative articles right here. Interested in growing techniques? 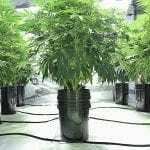 Check out our article on hydroponic growing. What are the health benefits or marijuana use and are the clichés true? We tell you everything. Next article How to Make Cannabis Oil?